This week brings us to Mardi Gras. 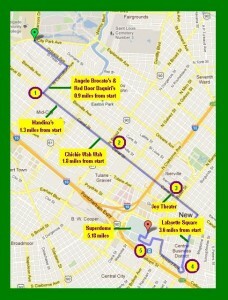 And what better place to get a great workout then by running or walking the parade route. 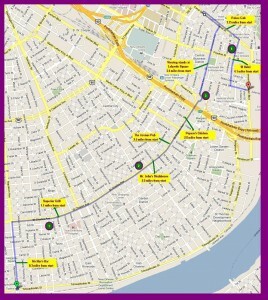 Here are the paths for this weekend’s Endymion and Bacchus parades. Go for a run or walk along these routes and get fit. And you’ll likely see some great sites along the way!!!! To contribute to the conversation, or for more information on how to get fit, on training, or sports performance, like us on Facebook , follow us on Twitter, or contact our office.